We can develope our bikes continiously forward thanks to the close contact to our customers and their long-term expierences. 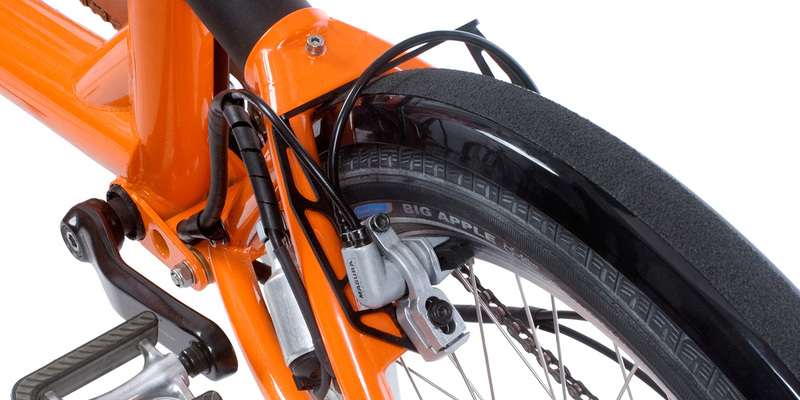 We’ve been putting toothed belt drives on bikes for over 20 years. We think they go particularly well with our folding bikes because they require no grease or oil. After all, a bike that you intend to take along with you, put in your car and hold in your hand shouldn’t make you or anything else dirty. 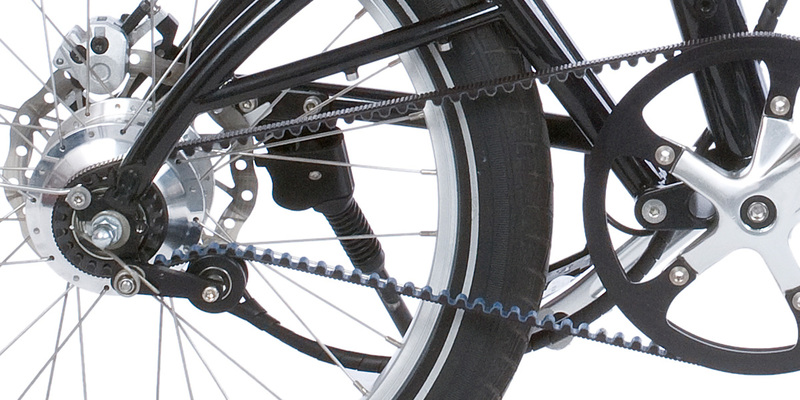 And what’s more, a toothed belt drive train lasts up to ten times longer than one with a chain. The new carbon-reinforced toothed belt by Gates is a worthy replacement for a chain in every respect. To go with it, we use our own special drive design based on years of experience with toothed belt drives; this design uses the virtues of the Gates carbon belt to maximum advantage. And we combine this toothed belt drive with all of the available internal gear hubs. 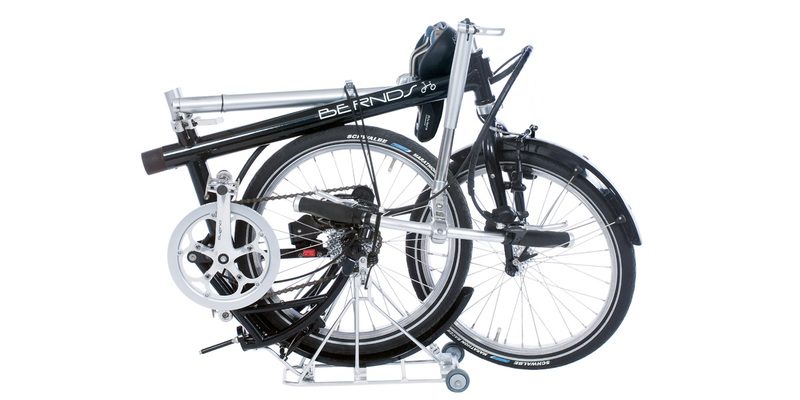 With a bit of practice, our folding bike can be folded up in just 8.2 seconds. The tandem folds in about 30. This is why our bikes win all the usability tests. Our main concern, however, is a long useful life. That’s why all our closures function exclusively as closures—they never have to provide any mechanical support. And with both our handlebar folding assembly and our seat support, there’s no readjustment that needs to be done after unfolding. So far, these features have remained unique to Bernds. We think that seat adjustment is absolutely essential to ergonomically correct riding. Riding with a seat that’s not adjusted right puts strain on your knees and detracts from your performance. That’s why we developed the folding seat post that remembers your seat’s position even after folding. The trick is a special folding hinge. This hinge is easy-to-use and exact thanks to its elaborate design and precision construction. 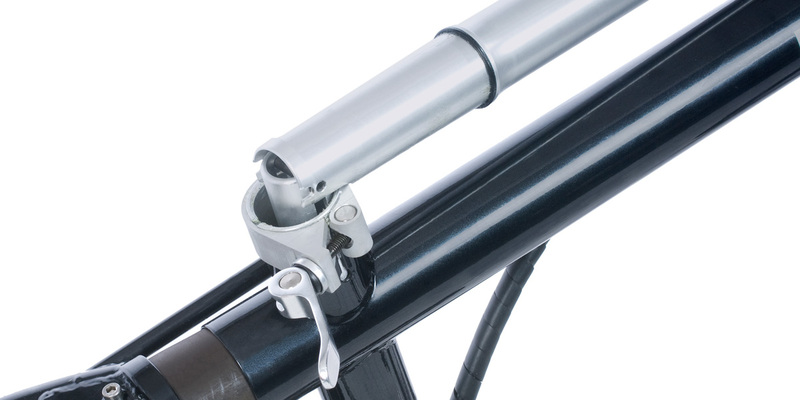 And the upper seat post is of a standard size, so that highly varied lengths and seat offsets are possible. 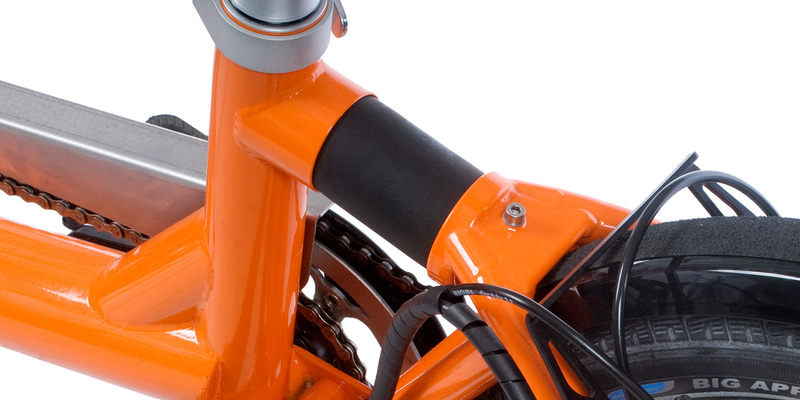 And yet another advantage: our folding hinge completely seals off the seat tube. Because this prevents water from getting in at the top, the bottom bracket need not be open like it is in other bikes. This lets us minimize corrosion inside the frame. You can combine any set of handlebars with our handlebar assembly—functional and simple moon handlebars, sporty MTB models, the comfortable North Road design, high-swept trekking bars or racing handlebars. The handlebars’ height and distance from the seat are also adjustable. 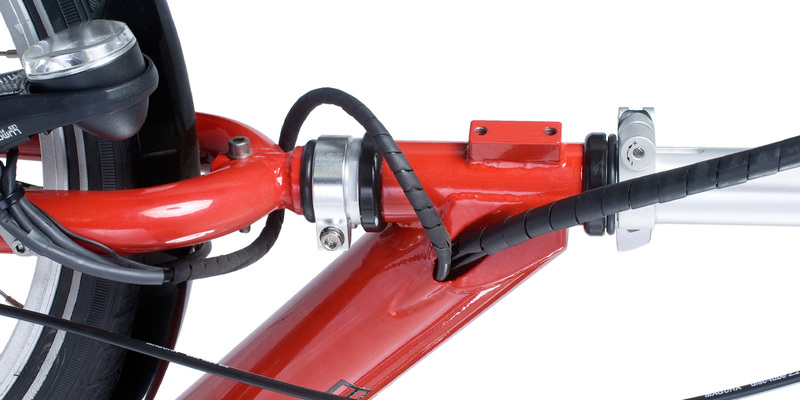 All handlebars, with their various settings, can be folded down perfectly and fastened in the desired place. All this enables us to construct our handlebar folding assembly with a cable. Compared to a hinge, this type of assembly offers more possibilities and more safety. After all, hinges can open up, develop play or even break. Since this area of the bike has to withstand strong forces, we’ve chosen a tubular construction made from precision turned parts with a maximum 0.05 mm of play. Furthermore, an anti-twist mechanism guarantees that the handlebars will still work even if you’ve forgotten to close the quick release. And finally, when you unfold the handlebars to their upright position, they automatically position themselves correctly relative to the front wheel. Our headset construction combines the advantages of a threadless Aheadset-style design with those of a classic threaded headset. This makes possible simple and effective play-free bracing of the headset bearings, much like in other threadless headsets. And what’s more: the Bernds headset construction allows the fork to be detached using a No. 5 hex key without having to reset the bearings. The bearings stay behind in the frame, set to be free of any play. And you can also position the wheel higher or lower. All this makes us mighty proud. 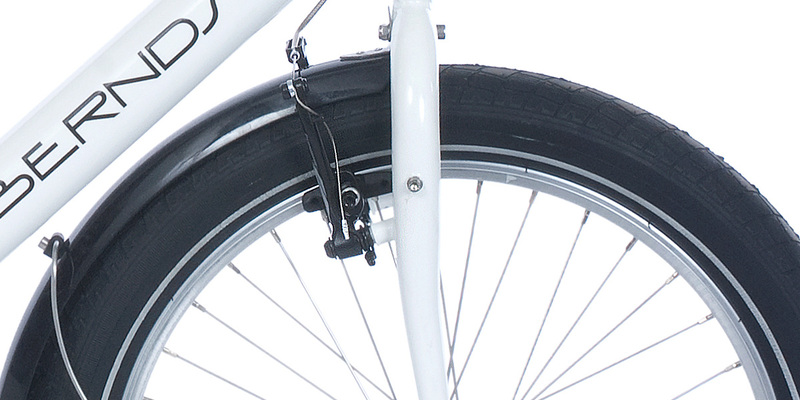 To let you fold our LowStep folding tandem ultra-small, we’ve developed a special hinge. With this hinge, we’ve more than compensated for the inherent disadvantages of a folding hinge by using an extremely solid design with an array of interlocking tabs that can withstand great mechanical forces. This construction uses surface friction to transfer these forces, and unlike other folding bike hinges, it will not develop any play. Our tandem hinge and its placement make this tandem bike so compact that it will even fit into the boot of a VW Golf— without folding down the back seat. We went looking for a way to build an entirely maintenance-free shock absorption system that would still nicely smooth out the bumps. What we came up with is made from a specially foamed polyurethane called “Cellasto”. It stands out for its high degree of inherent shock absorption, which is not temperature-sensitive. By the way: we pioneered the use of this material in our industry in 1991. Since then, Magura, DT Swiss and German boutique producer German Answer have all followed suit. Our rear sub-frames are open on the chain-side. In addition to looking good, this type of frame design (also used in motorcycles) makes it easy to use toothed belt drives. And it provides you with an invaluable advantage when it comes to cleaning or doing repairs: you can remove the chain in one piece, without having to open it. 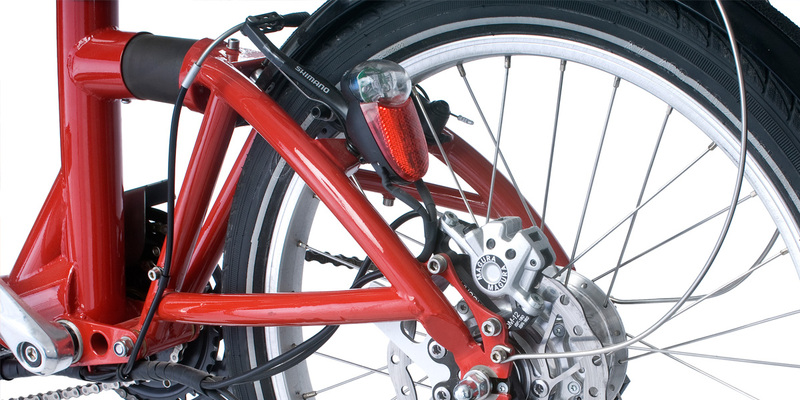 Mudguard stays should provide stable support but also be flexible in order to resist impacts. When the bike is folded up without a luggage rack, the weight is on the rear mudguard. So to make sure that the rear mudguard retains its shape in the long run and also bounces back if knocked from the side, we mount these elegantly curved, extra-flexible stainless steel mudguard stays. 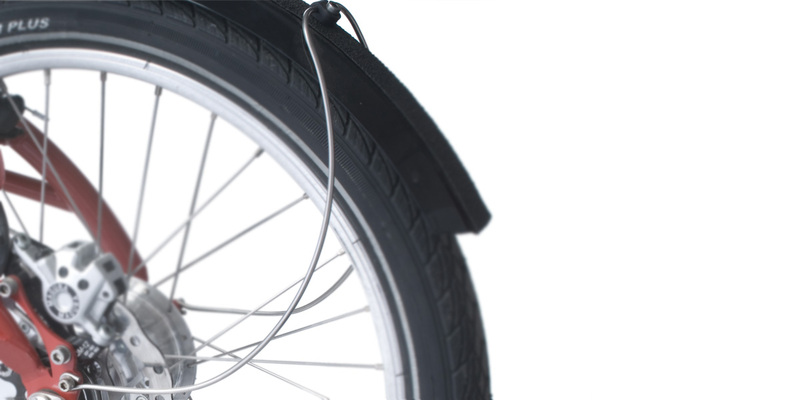 Particularly in folding bikes, wires and cables have to take quite a bit of punishment. Our frames include special parts for strain relief. 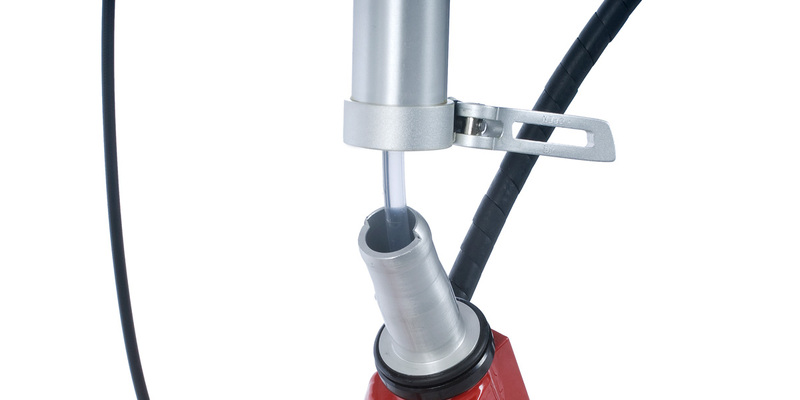 Furthermore, we’ve been using stable, 6 mm diameter twin cables with protective sheaths for years—and to our knowledge, we’re the only producer to do so. Around 90% of defective dynamo-powered running light setups don’t work because the cables are broken or shredded. But on a Bernds, the lights will work trouble-free even after 10,000 folds. Because of our bikes’ special frame geometry, we use a modified version of the HS-33 booster that will accommodate even 55 mm Big Apple tires. It doesn’t squeak. It’s easier to gauge your braking force. It’s more easily adjusted. It brakes. And it’s behind the fork. Why do rear brakes make that screeching sound far less often than front brakes? Rear brakes are mounted behind the seat stays, so they grip the wheel from behind. 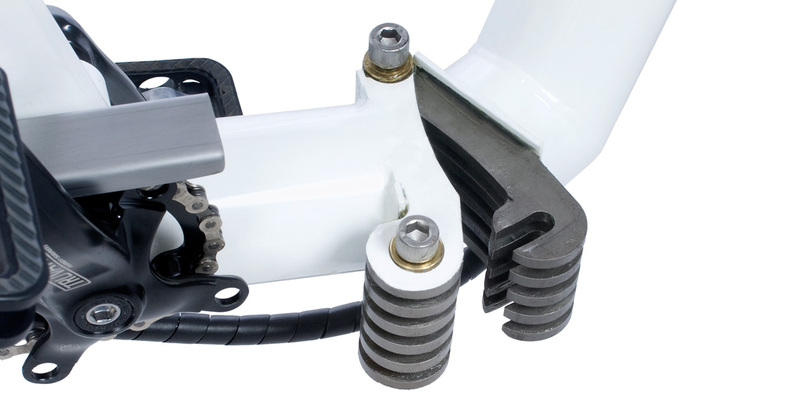 When applied, the brake pads press between the stays and stabilise themselves—in contrast to traditionally mounted front brakes. With the latter, the pads turn outward from the rim when applied, which can easily produce a squeak. Long V-brake pads make this phenomenon even more pronounced. 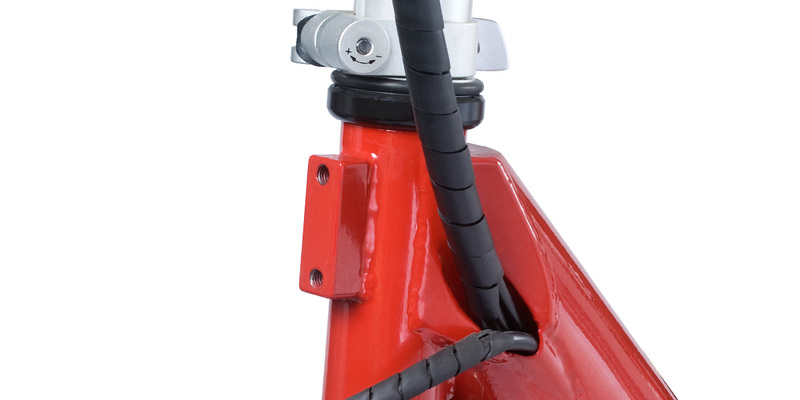 Our tail light bracket can be attached to the disc brakes’ mount adapter. 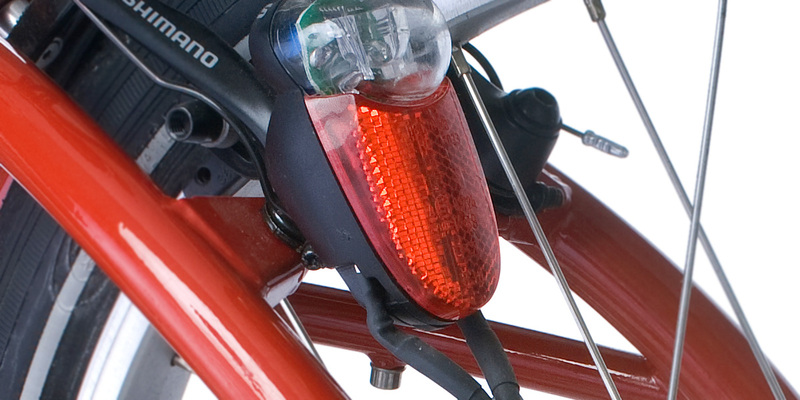 This affords your tail light some extra protection, since it’s positioned directly on the wheel. Our previous spring-steel construction had shown a tendency to break now and again. That construction was made to be fastened to a cantilever brake stud. And since it’s also very well suited to mountain bikes and other bikes that use V-brakes, we sold the design to Busch & Müller, the market leader in bicycle lighting. They sell it as the Crosslink.